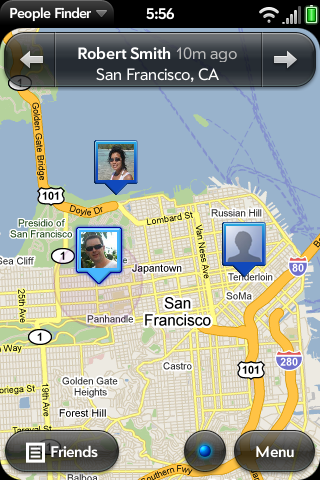 Want to see where your friends are around town? Want to track your children’s location? Wondering if a loved one is on the way home from work yet? Lost your own phone? 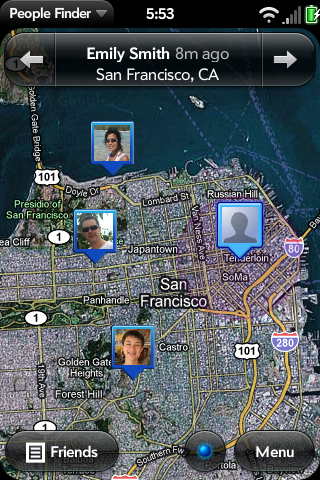 People Finder will automatically transmit the location of your phone and share this information with friends and family. This information can be viewed from another phone with People Finder installed or from the internet. Best of all, there are no monthly service fees! You pay for the app once and have unlimited use of this service. Once installed, People Finder will transmit your location as frequently as once every 15 minutes so long as your phone can obtain a GPS lock. Family and friends who also have People Finder installed can bring up a Google map which shows your location in either a street map view or satellite photo view. People Finder also allows you to view Google traffic information and search for businesses in your immediate vicinity. Your privacy is always in your hands as only those who you have formally invited through People Finder can see your location. You can choose to withhold location information at any time or only publish the city you are located rather than providing exact location. 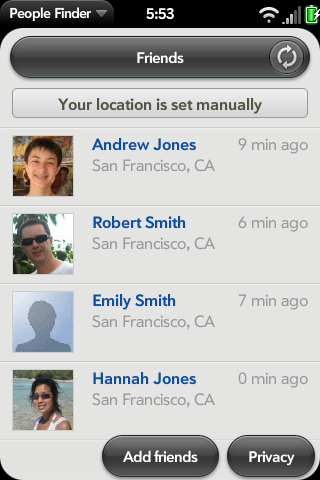 People Finder can even help you track down your own phone if it goes missing by allowing you to view your phone’s location at www.igoogle.com. People Finder uses Google Latitude services which means you can share and view location information with Android based phones and the iPhone.